Wear this feminine jewellery set to create a stylish party look. 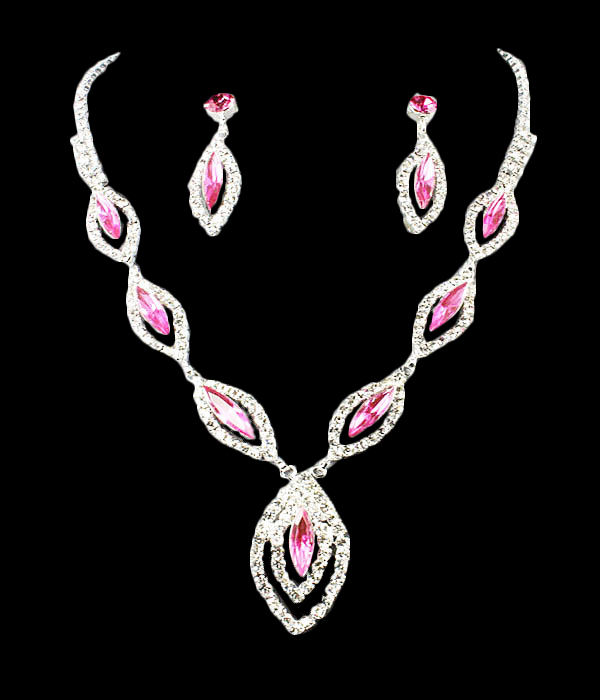 The necklace features almond-shaped rhinestone details with a faceted pink crystal placed in the center. The central pendant detail accentuates the design. Adjustable chain length. Buy from the hottest range of online necklaces for women right here at Oz Bling.